*whew* That's a lot of swatches! WHOA that is a monster of a post! I applaud you for having the patience w/blogger to upload all of these. I am actually amazed. Would you describe Roxy as a dupe for that gorgeous Magenta in Lippmann's Party Like A Rockstar collection? 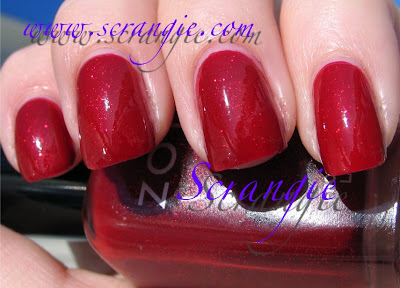 I've really been looking for a sutible dupe, but one thats not too expensive! What a coincidence! I was reading this entry and my package of polishes from the Zoya exchange arrived! I only did six. I got Zara, Raven, Trixie, Freja, Kotori, and Suvi. Thanks for the effort, that was very helpful. Now I know I must have Aria. The Zoya website is not helpful when one is trying to decide which colors to buy. It is so nice to see them on someone's fingers so I can make a decision. Thanks again. Katee, lol it did take a while. Itzzzkimmm, isn't it? I love it!! Anonymous, you need it! It's awesome! Question about the exchange program. Is shipping the total amount you are returning and receiving x $3.00. Seems very expensive. I want Juno (: I'll make sure to stock up Freja's and Trixie's, too. Question: Lindsey and Kiki seem very similar? Can you please comment on that? SW, hmm, I'm really not sure. You can always call or email them with any questions, they're very friendly! Vanessa, ooh awesome! :D As for Kiki versus Lindsay, I'd say they're actually very different. They have the same type of shimmer, but Kiki is a super-bright hot pink with blue/purple duochrome, Lindsay is a medium pink with shimmer. Oh yes, that makes sense: I can see the difference now by looking a little closer at the pics. Someone should pay you for all the swatches you've been doing. you are really doing a great job and I just can't imagine how you do it. thank you so much for doing this for all of us. I am truly amazed and I really appreciate your effort.Bless you and I hope you won't get tired of swatching. Maybe it's the angle you took the picture from, but the shimmer and variation in color of Beyonnce is just amazing! 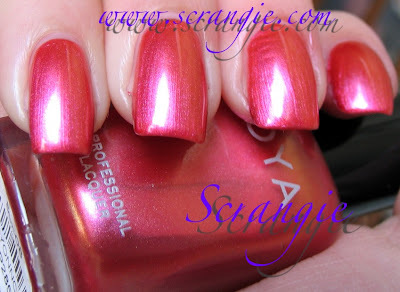 Your nails look sooo long in the Angella swatch. Beautiful! And I love the silkiness of Pasha too. 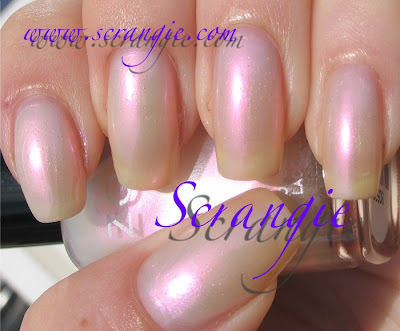 Scrangie, your top quality swatches are extremely helpful because there is no way the color examples from the polish companies look anywhere near accurate. Not only do you make us want to go buy them all (yeah , if only I had nails like yours too! ), but if we should order them unseen, we are happily not surprised that they look just like you show them when they come. Thank you for your great examples and awesome photography! Kiki is my favorite, which I have. I own 10 bottles, but I always reach for that. Maybe I should try an exchange. Question!. I'm going to order my first mini haul of Zoya polishes soon but NEED these answered before I can do so, if you could help!. :) I'd appreciate it so much. Is Ginger a dupe or similar to China Glaze Orange Marmalade? Is it sheer or opaque?. 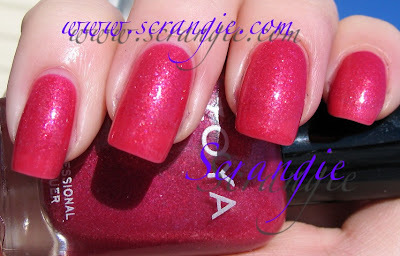 Is Kiki a dupe of China Glaze Caribbean Temptation?. Kiki sounds like the polish I've been hunting for, but I'm on the fence!. Thank you.